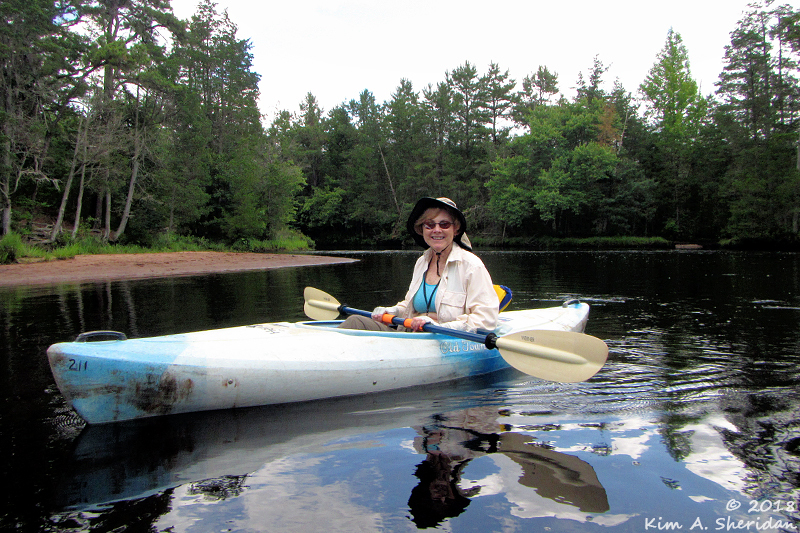 Don and I set out to paddle the Oswego River in the Pine Barrens, which I’ve not accomplished yet. Thanks to weather delays and outfitter glitches, that wish turned into a Batsto River trip, which subsequently turned into a Wading River trip. Surprise – it was a great trip. The rivers are running high and fast this spring, and it was a quite different Wading experience. 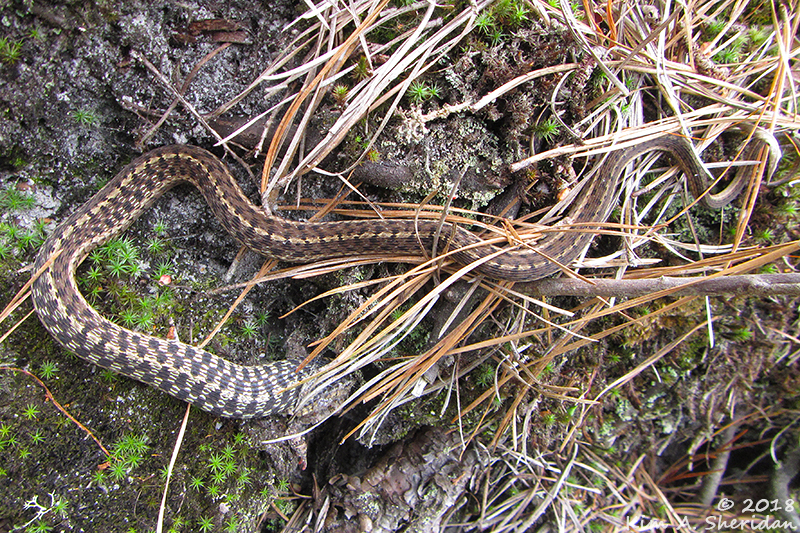 At a beach where we took a break, I found this Eastern Hognose Snake. 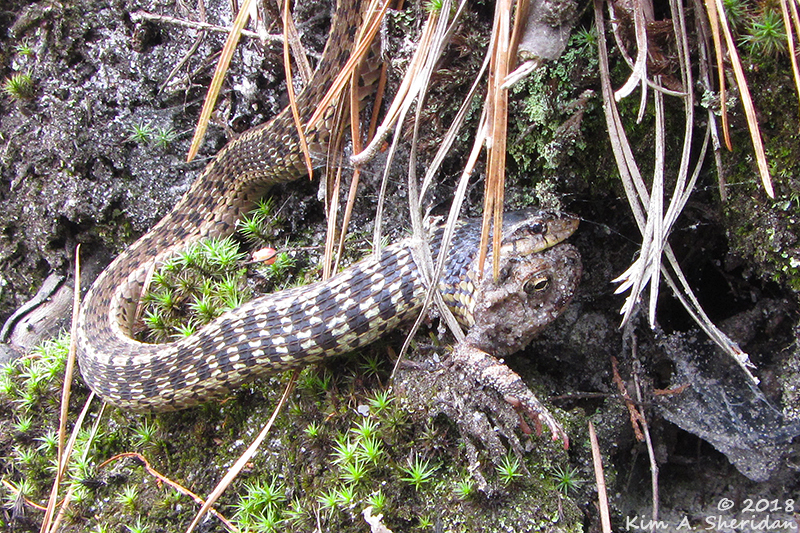 Apparently, I interrupted Mr. Snake’s lunch of an unfortunate Fowlers Toad. 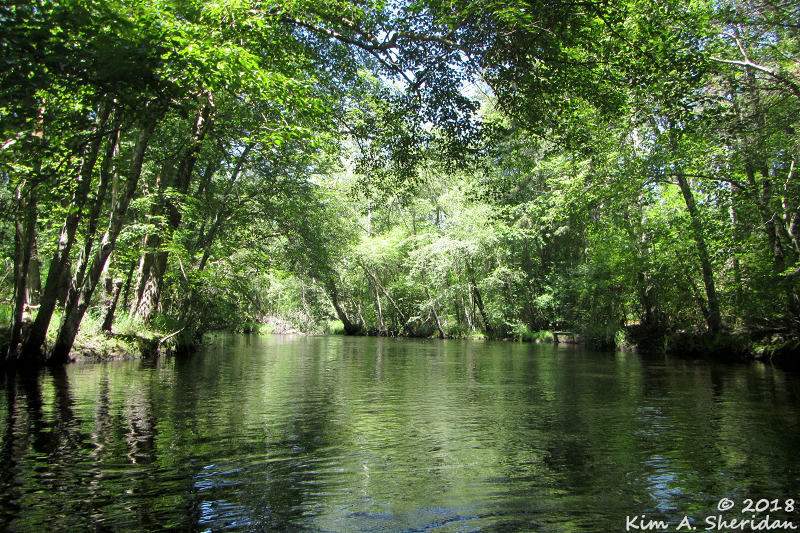 Another day, with blue skies above us, Don and I decided to try a trip on the Great Egg Harbor River near Mays Landing. This river was new to both of us. 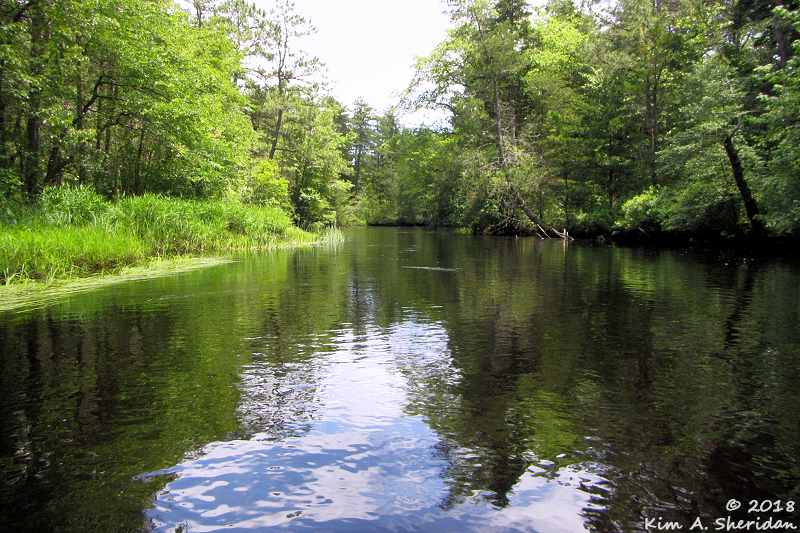 While located in the Pine Barrens, it was a most un-Piney River, thanks to the deciduous woods lining the banks. Where are the Atlantic White Cedars and Pitch Pines? Don can’t find them… The journey ended with a small section of genuine semi-whitewater that was a lot of fun. 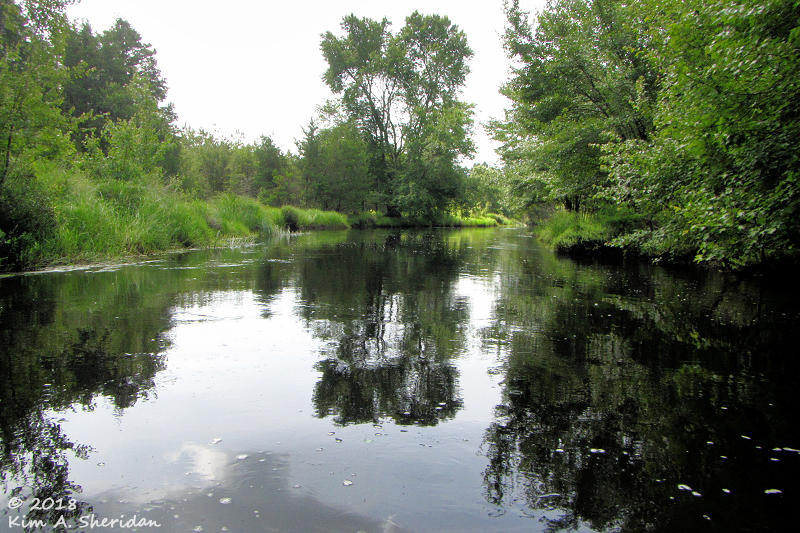 I went back to the Wading River again this week, on another beautiful blue-sky day. My companion this time was Becky, who’s a seasoned Wading paddler; she leads trips there regularly. Usually the water level is quite low, and the biggest challenge here is being grounded on sand bars. Not this time. Like my earlier trips with Don, the fast current meant Becky and I spent time trying to avoid being swept around bends into trees. Not always successfully. Much of the time we could just float, though. 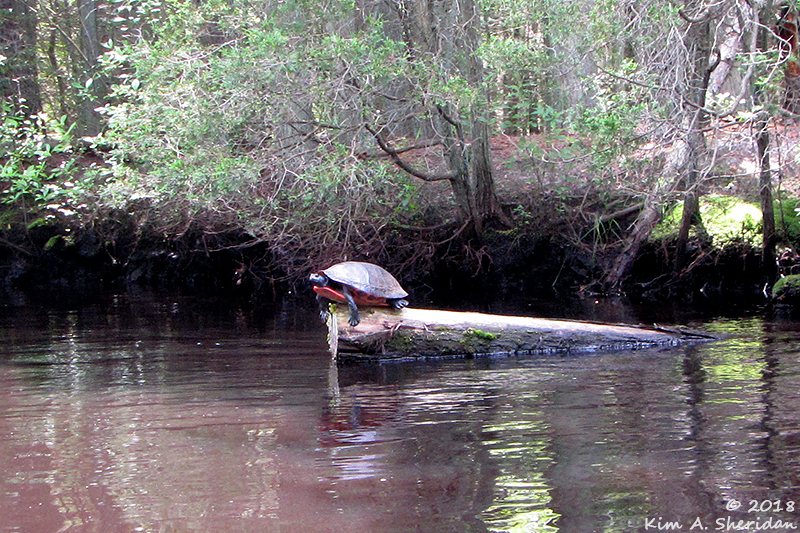 We passed a big ol’ Red-bellied Turtle sunning himself on a log. 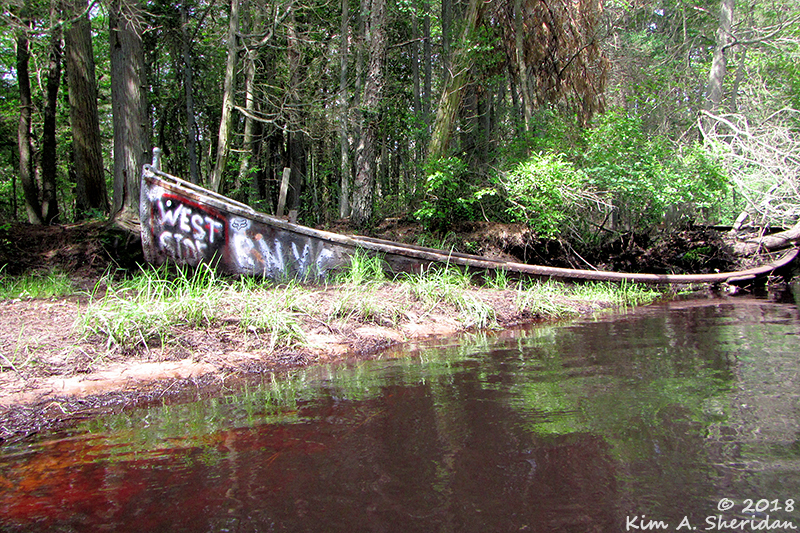 This old boat on the river bank is a local landmark. It’s been rotting away for decades. I wish people didn’t feel the need to leave their “mark” on it. Nature is better left to adorn herself. My friend Colleen and her husband bought kayaks this year. During the week, she is eager for a kayaking buddy. We’re both photographers and like to drift while we look at nature’s abundant wonders, so the partnership is a happy one. 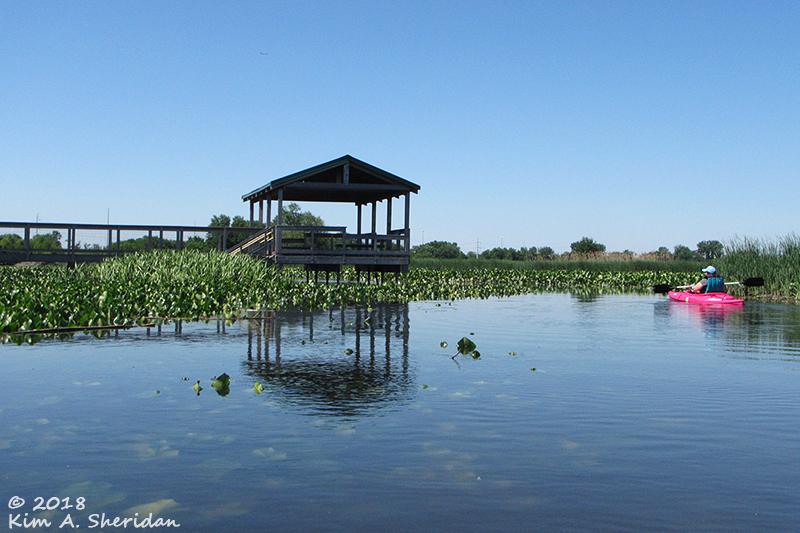 Here’s Colleen near the marsh boardwalk along Darby Creek in John Heinz National Wildlife Refuge. I don’t have any difficulty spotting her on the water; she saved a little money by getting a bright PINK boat. 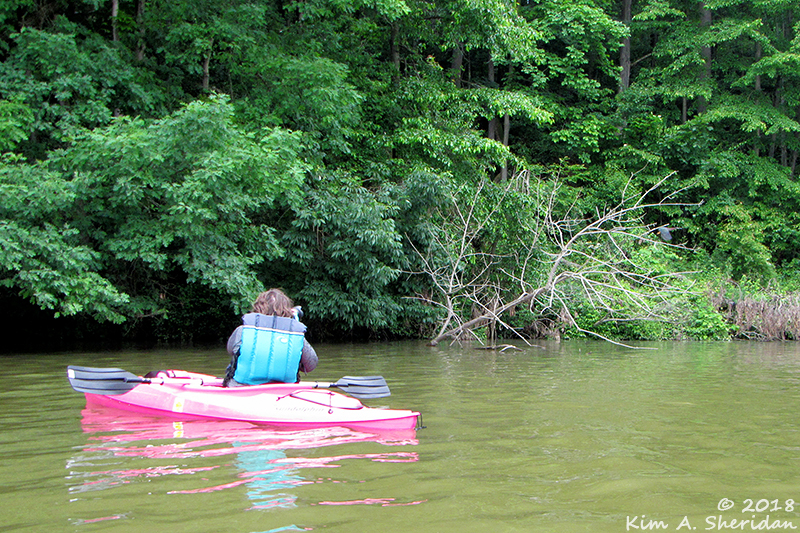 While I was taking photos of Colleen, she was taking photos of me, paddling into the spatterdock along Darby Creek. We went to Octoraro Reservoir in Lancaster County one day. The earlier heavy rains had left the water quite muddy. Colleen was hard at work, photographing a Green Heron taking flight from the bare tree. Rock outcroppings line sections of the shoreline. What am I looking for? This. This narrow plant at the center, tucked in behind a larger-leaved plant. 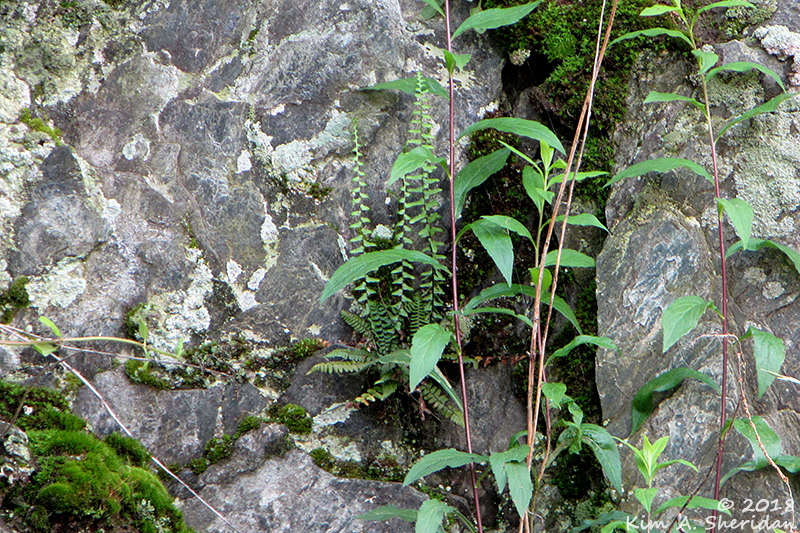 It’s a fern known as Ebony Spleenwort. This year, my friends and I are learning about ferns. Colleen’s not caught up in our fern mania, but she was the one who spotted this beauty. 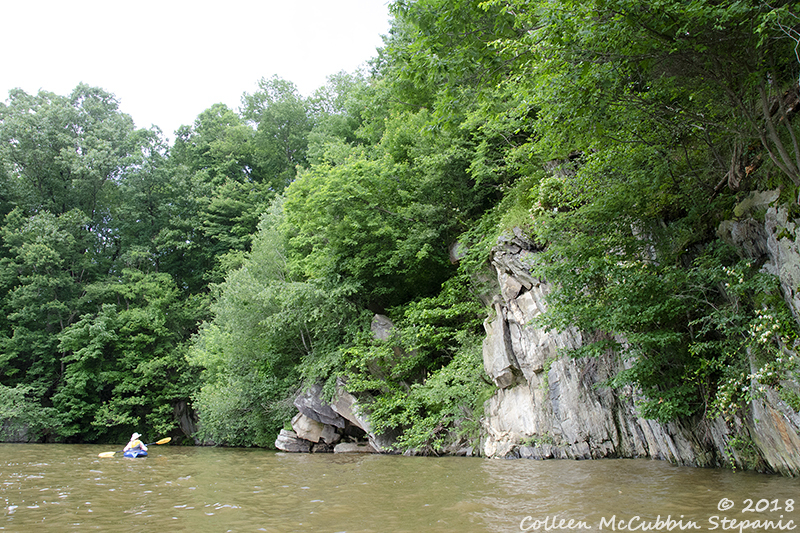 The cliffs of Octoraro, my kayak and me for scale. 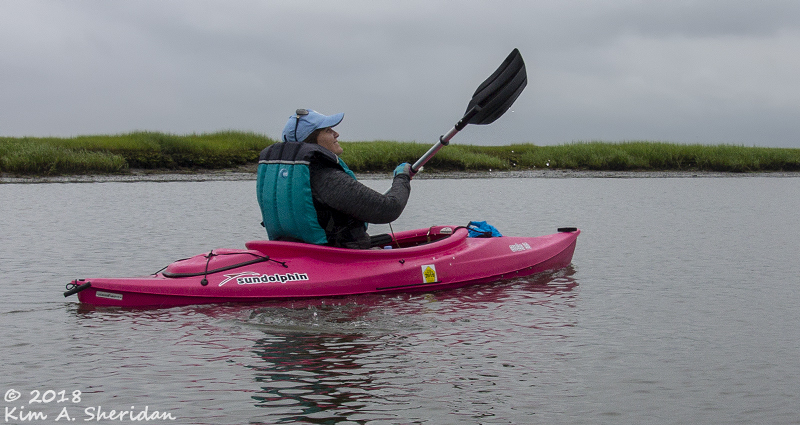 Colleen wanted to paddle in the back bays of the New Jersey coast, so we drove to Tuckerton and put in at a launch on Great Bay Boulevard. 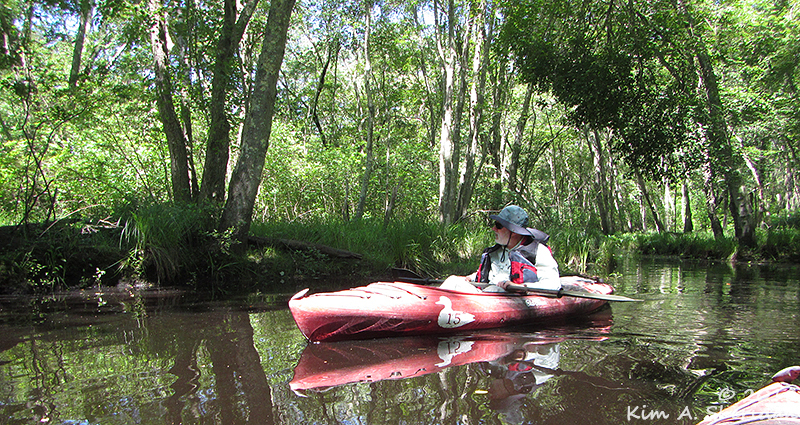 From there we kayaked in Big Thoroughfare, a tidal creek that bisects the peninsula between the Great Bay and Little Egg Harbor. It was the first day of summer, but seemed no different than spring – cool and gloomy. It drizzled off and on for most of our trip. Colleen looks really bothered by it, doesn’t she? Not at all; there are so many interesting birds to look at, she can’t wipe the grin off her face! 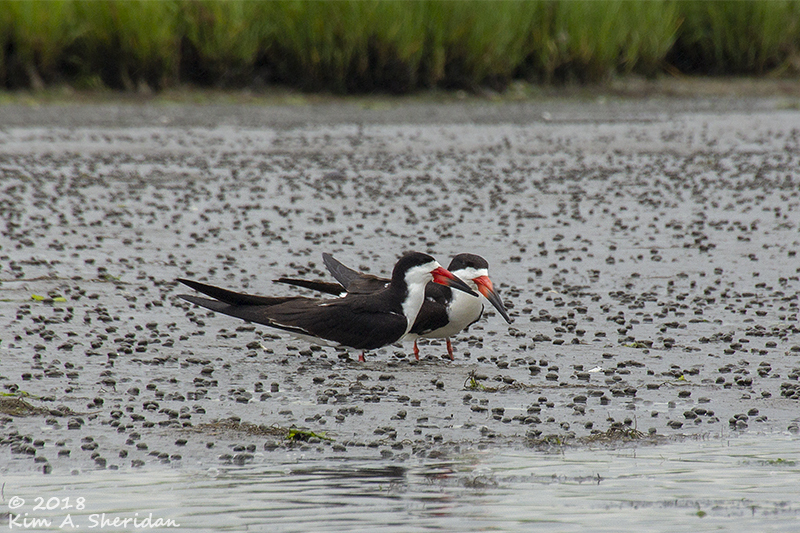 A pair of Black Skimmers. I’ve had some good experiences photographing Skimmers, but not quite like this. Wildlife seems to be more tolerant of people sitting in boats rather than standing and walking. 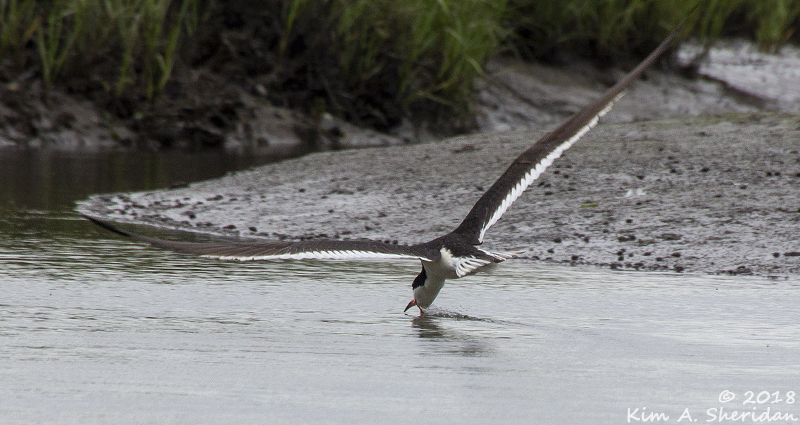 Black Skimmer, doing what he does best – skimming. 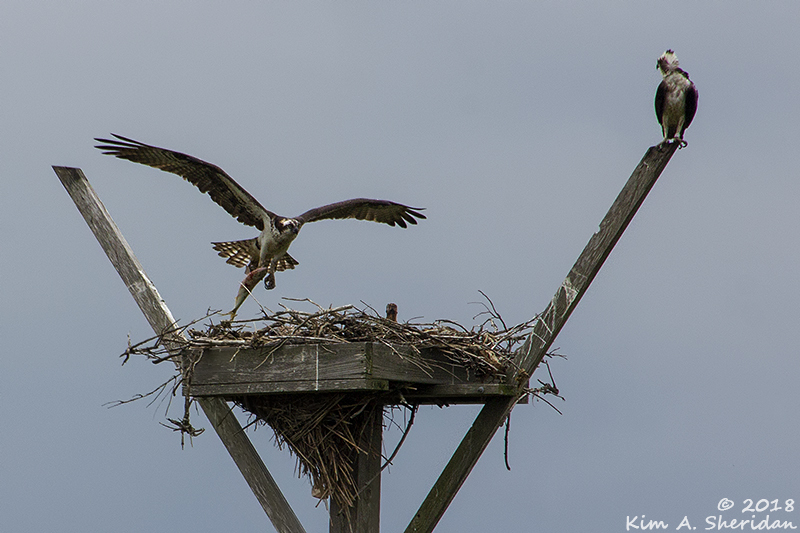 We came upon an Osprey nest occupied by two adult Ospreys and at least one, possibly two chicks. We hung out and took photos for a while. 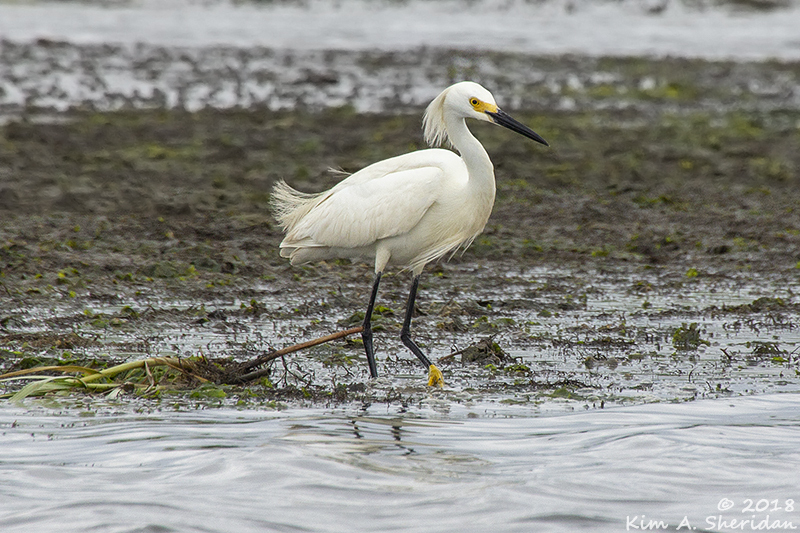 One of the adults flew in with a fish, then took off still carrying it and flew around a bit before returning to the nest. Then it flew off with the fish again. This was repeated a couple of times, while the other adult screamed. Maybe Colleen had drifted too close. 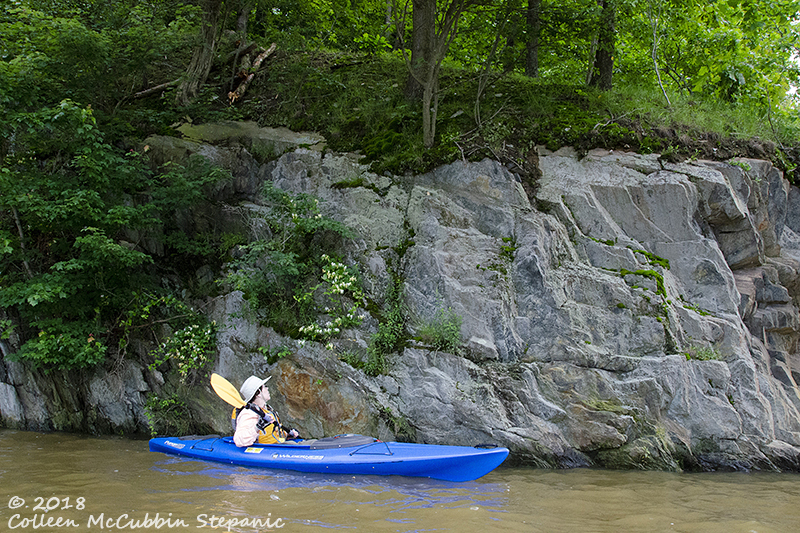 There are limits to birds’ tolerance of humans, even in kayaks, especially birds with babies. Then again, maybe they don’t like PINK. 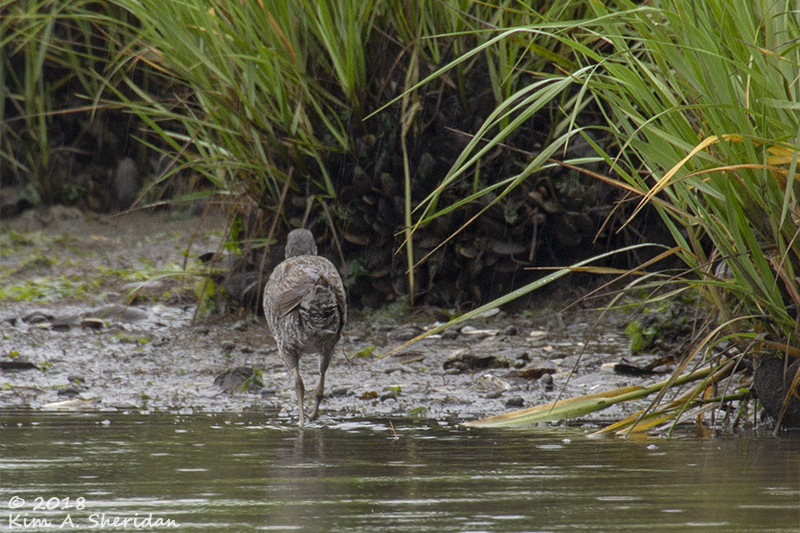 Clapper Rail, a very shy, retiring bird of the salt marshes. We were lucky enough to see a few, usually from this perspective. The one that got away. Dreary weather? Disappearing birds? Fast rivers that sweep us into trees? Doesn’t bother us! We’re on the water, and everything’s right with the world. Kayak days are here again! 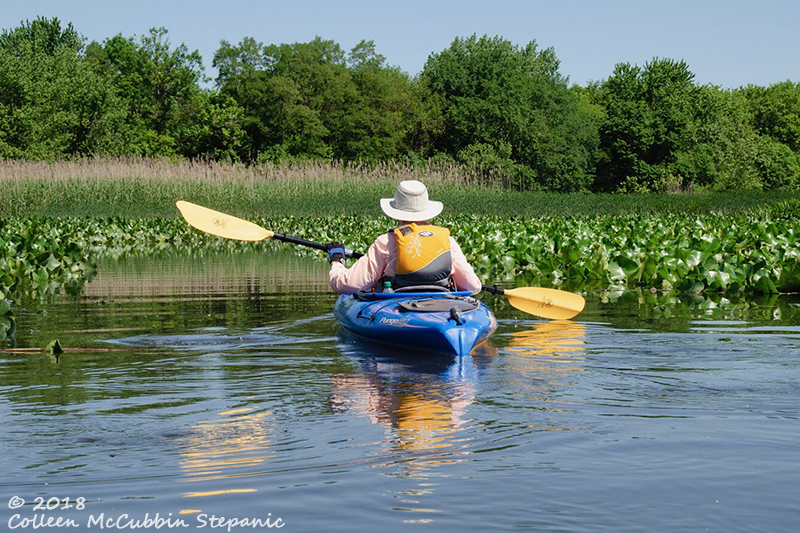 This entry was posted in Kayaking, Nature and tagged Darby Creek, Great Bay, Great Egg Harbor River, John Heinz National Wildlife Refuge, Kayaking, Octoraro Lake, Pine Barrens, Wading River by Kim. Bookmark the permalink. This is awesome. I wish I was out there with you!